Dermal fillers have become one of the most exciting developments in aesthetics in recent years – significant enhancements or changes to the face can be achieved without the need of surgery. 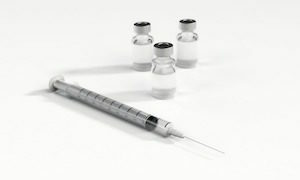 Dermal fillers are administered via injection underneath the skin, to make the skin appear fuller, firmer and smoother, and although are a relatively quick, simple procedure and isn’t surgery, it is essential that you don’t fall into the trap of agreeing to have this kind of procedure done outside of a regulated, professional clinic. The Independent recently reported on the case of an unlicensed practitioner who was offering dermal fillers to a patient in Toronto, Canada. The practitioner, a teenage girl called Jingyi Wang, advertised her cosmetic surgery services locally and performed a dermal filler procedure on a lady to responded to her advertising. Not only was this practice illegal, it was extremely dangerous for the recipient of the procedure. Shortly after the operation, as a result of not having the correct sterile equipment and operating environment, coupled with the fact that Wang was not a trained professional, the lady developed a serious infection, had to have antibiotics to treat this and had to have the work fixed by a professional cosmetic surgeon. As such, Wang has been charged with aggravated assault and will appear in court as a result of her actions. You might be thinking that this could only happen abroad but just this week there has been reporting on an ongoing court case involving claims of a ‘bogus Botox doctor’. Allegedly, Ozan Melin claimed to have trained in Botox in America wherein fact it seems that he has no medical qualifications and is not registered with the General Medical Council. One of the women who underwent treatment to her jowls and brows had a severe reaction after she was injected with a solution labelled Botox that has been described by a forensic plastic surgeon as ‘an extremely dangerous substance’. As obvious as it may sound, if you see an advert for any form of cosmetic enhancement that does not appear legitimate, then it probably isn’t. If you’ve seen any form of advertising and are considering responding to it, then it is always important to research the clinic fully before making contact – to ensure that you’re visiting a genuine professional. Can you visit a website? If so, what does it say about accreditations of the practitioners? If you can’t see any qualifications or membership of professional regularity bodies listed then this is a warning sign. If you’re not sure whether or not what is listed is legitimate, then it is perfectly acceptable to call the bodies/regulators and ask them whether or not the practitioner is indeed listed with them. Is the advert heavily cost-oriented? Advertising cost savings is definitely not a guarantee that you’ve found an unregulated practitioner but if the cost looks too good to be true then this should set alarm bells ringing.